The cost of the preschool for typically developing children for the academic year 2019-2020 will be 10 monthly payments of € 825,00 totalling € 8.250,00 for the whole academic year. The first payment must be made by the 1st of June in the academic year before your child starts in the “Three Little Ships” in order to secure your child’s place in the preschool. No charge is made in September; the second payment is due on the 1st of October and thereafter, in advance, on the 1st of each month. Any increase in the contribution is determined in September and will run until the following July. As the preschool Three Little Ships is registered in The Netherlands as an official childcare organisation, it is possible for parents to receive a refund from the tax department for the costs of the child care. More information can be found on the tax office (Belastingdienst) website or from a tax advisor. A voluntary parental contribution is requested for every student that is enrolled in the Early Intervention program of the Lighthouse Special Education school. After a child has applied to the school, the contribution is discussed in detail with the parents and a contract is drawn up. After signing this contract, the parent is obligated to pay their contribution. The Early Intervention program for children aged 3 to 5 years of age in Three Little Ships preschool is currently: €19.800,00 per school year. If a child who is attending the Early Intervention program also participates in integration classes in the mainstream international school then there may be additional costs for providing an integration assistant. Full integration in a primary class of the International Department with a full-time assistant is approximately € 45.000,00 per school year. Part-time integration assistance is generally pro rata. Please contact the school for more information. The amount of the voluntary contribution is reviewed periodically and set according to the policies of the School Board. The Parent Teacher Council (MR) formally approves the amount of the contribution and how it will be spent. 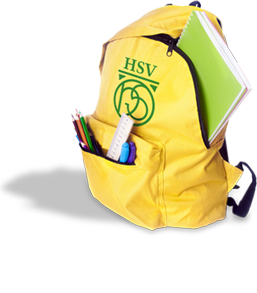 For a student who joins the school during the school year, the contribution will be calculated on a pro-rata basis, based on the number of school weeks remaining in the school year. For a student who leaves the school during the school year, a reimbursement of the contribution will be calculated on a pro-rata basis, based on the number of school weeks remaining in the school year.